The Arctic is a unique environment in itself, but these 4 fascinating cultural curiosities only get more curious. Each has their own story to tell about native culture. Most visitors come to Arctic Norway in search of Northern Lights. However, the midnight sun in summer can be equally enchanting. For another level of entertainment on sleepless nights, Norwegians created the Midnight Sun Marathon! The northernmost race certified by AIMS is held each June and starts at midnight, attracting around 6000 participants each year. The event will celebrate its 30th anniversary on June 22nd, 2019. Why not join the fun and run under the midnight sun? Options range from a children’s 800m to the full marathon, so there’s no excuse not to bring the whole family along! There are also endless possibilities for other summer activities in Norway. 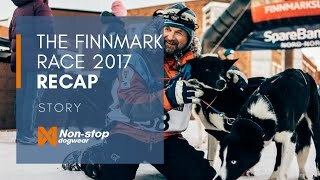 The Finnmarksløpet is Europe’s greatest sled dog race. Norwegians hold it in March of each year with 1000 kilometre and 500 kilometre options. You may not want to participate, but the starting point and setting off of the teams in Alta are spectacular to watch! You can’t help but feel the energetic hype of hundreds of four-legged athletes anticipating the adventure ahead of them. Though six days of harsh snowy trails isn’t for everyone, dog-sledding can be! Local professionals can teach anyone about how the sport works. You may even get the opportunity to try driving your own team of up to six dogs. Not your typical Christmas reindeer tale! 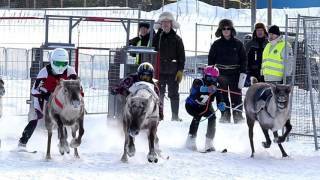 These daring races on skis are a tradition upheld by local reindeer herders. It is said that on cold winter days, the hype from watching the PoroCup has even lifted a few stiff smiles on the faces of the ever-serious Finns. Events are hosted by local organisations and clubs, with profits going to charities. The Sami people of Lapland have long lived a nomadic lifestyle, following the land movements of their reindeer. It is more relaxed and slightly easier to follow than the sporting event! Our National Geographic awarded “Tour of a Lifetime” presents the opportunity to gain authentic insight into their way of life. Shorter reindeer rides are also possible. Ice fishing tournaments. A Game of Thrones themed ice hotel. 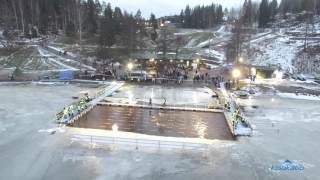 Not to mention the most relaxed ice swimming championships (see video below). You name it, they’ve already thought of it! Even after the ice is gone, skidoos are used for watercross sporting events. Because all of the Arctic’s ice can’t be maintained year-round, artistic masterpieces like the GoT sculptures will not be around forever. However, that may be part of the point. The Arctic is constantly shifting, and you never know when the time may be up on these once-in-a-lifetime experiences.